Get deep insights into the true essence of attachment parenting and child centred parenting discipline. 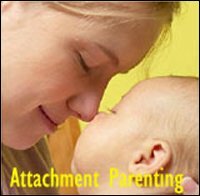 And as a extra special treat for those of you who are academically hungry, follow the footprints of attachment parenting through the course of history back to the fascinating theoretical forefathers of attachment parenting like John Bowlby and Carl Rogers. As you probably know, Dr William Sears is no new name in the parenting arena. For nearly three decades, William Sears has been an influential and respected voice in the area of parenting. Combining the theories and ideas of several psychologists and medical doctors with his own personal experience, Dr Sears is the founding father of the widely recognized concept of attachment parenting. 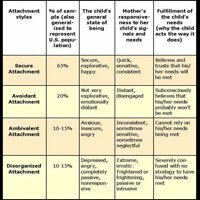 Very briefly put, the ultimate long term goal of attachment parenting is enabling children to form secure attachments to their caregivers (typically their parents) which results from attachment theory research have demonstrated are crucial to healthy emotional child development. In other words, the degree of parents' sensitivity and emotional availability to their children has been proven to play a huge role in their children's ability to feel existentially secure - something which paves the way for becoming healthily independent, well-rounded adults. Although Dr Sears has faced some criticism of attachment parenting, attachment parenting actually draws from decades of research conducted by renowned physicians and therapists at some of the most distinguished medical schools or hospitals in the world. The positive effect of secure attachment is not simply a hypothesis, but is actually rooted in neuroscience, showing how both the emotional and physical development of children is affected by presence of close and intimate relationships in their lives. Dr Sears has completed residencies at both Harvard Medical School's Children's Hospital in Boston and the Hospital for Sick Children in Toronto, the largest children's hospital in the world. He is currently an associate clinical professor of Pediatrics at the University of California, Irvine, School of Medicine and acts, among other things, as a medical and parenting consultant for Baby Talk Magazine. Dr Sears has authored or co-authored more than 30 books, including the popular 'Sears Parenting Library' that has been offering advice to parents for many years and giving them tools to help build strong, trusting relationships with their children. Below here is a video starring Dr. Sears (in case you don't know what he looks like) where he provides you with baby sleeping tips that are rooted in attachment parenting. Dr William Sears and his wife Martha (a nurse) have plenty of personal experience with children themselves as they have a whole eight of them. Dr Sears states that as young parents he and his wife really desired to do what was best for their children. However, traditional parenting books and theories left them feeling confused and conflicted. While Dr Sears' medical background is impressive, he admits that when it came to parenting, his formal training did little to help him answer the most common questions from new mothers e.g. how to handle a constantly crying baby. Traditional parenting advice along the lines 'crying it out' and rigid feeding schedules just did not seem right to the Sears, and they couldn't bring themselves to implement these techniques with their own children. Even though it may seem obvious, Dr Sears expressed the insight that infants have very different personalities and do not fit into a set of predetermined rules and that parenting questions do not always have easy, precise answers. Most parents want to do what is best for their children, but they just don't always understand how. Dr Sears was looking for an answer as well so he searched for examples of success. You can look at it this way: If we would like to learn to dance, we hire a dance instructor. If we want to improve our health we consult a personal trainer or nutritionist. Or, if we want to develop our business skills, we enroll in a class at the local college or school. The point is that the best way to grow in any particular area is to learn from those who are experienced, educated, or familiar in that field. So, Dr Sears understood that the most valuable parenting information could probably be gleaned from experienced mothers with happy children. He interviewed parents, sent out questionnaires addressing specific areas of parenting, and kept careful notes as he followed the growth and development of his young informants. In addition, Dr Sears also put what he discovered into practice, so he learned first hand which ideas work and which ones don't. Dr Sears does not advocate any suggestions that he was not willing to work with himself which gives him a great deal of credibility with both parents and child care experts. And if raising eight children isn't enough on its own, the Sears family also draws from the experience of being blessed with both a high-need baby daughter and a son with Down's Syndrome (read about my own high need baby here). Being aware of some the more challenging aspects of parenting has helped Dr Sears relate more authentically to families dealing with e.g. 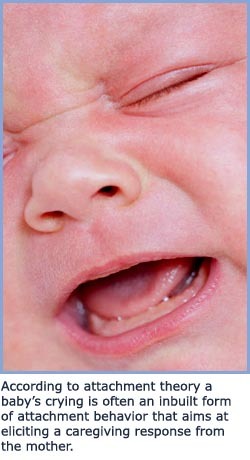 fussy babies or children with ADHD or autism. Dr Sears has also worked for several years in a Neonatal Intensive Care Unit, which has helped him become familiar with the special needs of premature babies and the implications this may have on both parenting approaches and family life. So, as you can see, attachment parenting isn't just another theory in a world flooded with parenting information. Nor is it simply an idea included in a list of possible parenting techniques. 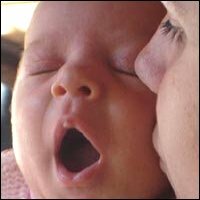 Attachment parenting was constructed from years of observing parents and babies together, from decades of gathering data from hundreds of families on what works and what doesn't, and from on-the-job training with individual children who also have individual and unique needs. The Simple Essence of Dr Sears' Attachment Parenting Philosophy: Making Your Child Feel Good about Himself or Herself! While Dr Sears' philosophy spans an entire library of books, it can actually be summed up quite simply: "A child who feels right acts right and is a joy to parents" (Sears, 1999, pg. 1). Basically, Dr Sears believes that a child's self-esteem lays the foundation for all his or her behavior. In other words, as much as external circumstances may seem to control a child, it is actually a child's perception of his 'self', or how he sees himself that to a very high degree determines the nature of his actions. Making sure children 'feel right' about themselves involves creating a strong, secure attachment – connecting with your children and being in tune with their emotions, moods, and needs. It means responding to your children in a way that allows them to feel secure, safe, and free to explore the world around them. It means making them feel accepted for who they really are (rather than what they are supposed to be) and loving them unconditionally. Concepts such as 'crying it out', 'strict schedules', or 'absolute parental control' may lead to what Dr Sears calls detached parenting. Detached parenting is an approach where the parents largely ignore the need signals that their child is emitting based on the conventional idea that quick satisfaction of basic needs leads to spoiling. In this way detached parents are following philosophies that are dealing with high expectations of so-called 'mature' behavior rather than tuning in to meet the individual needs of their child. The Interesting Paradox of Attachment Parenting! In short, William Sears states that every child is born with innate needs as well as an ability to give cues about those needs. As parents use their intuition and instinct to respond to their children, their children learn to cue better which, in turn, helps parents respond better. Clever, isn't it! This is communication in its most basic form and practicing it helps build an open, honest relationship between parent and child. As mentioned, Dr Sears' philosophy of attachment parenting is both complex and simple. It is complex because it cannot be reduced to a set of rules but is an 'approach' that is designed specifically for each individual child depending on temperament and personality. Yet, it is also simple since it is about only you and your child, and is based on your intuition of what is right and best for your baby. Dr Sears believes that although certain principles are common, parents should be creative and respond to needs in a manner that works for both parent and child. Whether you want to or not you're a role model and your children will copy you. "Do as I say, not as I do" tend to produce confused, angry and rebellious children. But, if you "walk the talk", children are much more likely to develop trust and respect. Read more about this in my positive parenting article on the Mirror Effect. Children who have been nurtured, automatically learn to be nurturing and care for others. The logic here is that since their basic needs for care are being met, they no longer have to focus on themselves and their needs but can begin looking outward. You can support your child's education in caring for others by helping them become aware of the effects their actions may have on others. As already mentioned Dr Sears believes that self-esteem is the foundation for future behavior so nurturing self confidence is at the top of the list. Remember, how the saying goes: a child who feels right, acts right. A parent's primary role is to create an environment that will help children become who they were meant to be, but Sears believes that many parenting techniques actually try to mold a child the way one would train a pet. However, needless to say children are not like robots or computers! Yes, you can put the information in that will likely produce the behavior you want, but the cost of this 'conditioning' is great, for both you and your child. Constructing the child you think you want rather than celebrating the child you have been blessed with may rob him of the ability to discover his inborn gifts and abilities. According to Dr Sears the goal is to teach children to respect your authority but not to fear you. Of course, if you are modeling behavior and creating a loving and accepting environment, your child will respect you because she wants to, not because it is demanded of her. Ultimately, you want your child to understand the reason for rules so that she sees these instructions as a way to protect her safety rather than inhibit her individuality. Communicating with children in a way they can easily understand is vital to healthy child parent relationships. Children should feel free to express their feelings and know that parents will listen and respect what they are experiencing without criticism or fear of punishment. The ultimate goal is to teach children that they have choices, but also that these choices come with consequences. In this way, discipline is not something that parents do to children, but rather a consequence that comes with a particular choice. To encourage this, Dr Sears believes that it is important to set reasonable expectations – do not expect children to have the thought processes of adults or demand behavior that they are incapable of giving. Step into your children's shoes and try to see things from their point of view before dealing with any behavior. You might be surprised what a change of perspective can do for you. "You will find that discipline will work much better for you once you consider your child's viewpoint in your disciplinary actions. This does not mean that you are losing your authority or letting your child dictate discipline; it simply means that you respect your child's viewpoint too. Parents who feel they have to be in constant control may have difficulty switching into "kid first" mode. Once you overcome your need to feel in control and realize that considering your child's needs in your decision making is actually part of being in charge, you will find your relationship with your child much smoother" (Sears, 1996, pg. 172). When Dr Sears coined the phrase "attachment parenting" in the 1980s it did not come as shocking revelation. While he was the first to use these specific words, many of the techniques had been practiced for years and Dr Sears largely collated the ideas of his predecessors, building on their research and adding in his personal experience. Now, if you're up for it, I would like to invite you to go with on a trip through the history of parenting science to see how it all began. 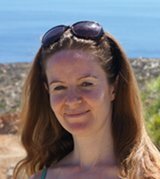 The First Big Mistake of Parenting Science: Out ruling Mothers' Intuition! It's no big surprise that it all actually began with mothers, way back at the beginning of time – before psychologists, medical doctors, and "experts" decided that mothers didn't know what they were doing and needed to be 'guided' by professionals. Intuition was replaced by education, and societal expectation took precedent over a parent's heart. The best example of that is the parenting philosophy presented by John B. Watson. 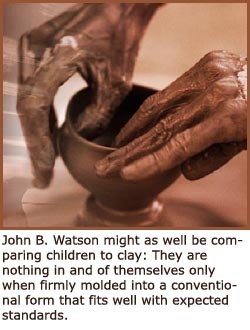 John B. Watson: Ignoring Individuality and Shaping Your Child to Your Desires! Now, we can't lay the entire blame on Mr. Watson since his was only one voice in a very large crowd; but, he is referred to as the "Father of Behaviorism" so it is fairly safe to say that he had a very prominent voice in the parenting world of that time (which was from 1913 when he introduced his Behaviorist Manifesto, all the way until about the late 1940s). Watson believed that too much attachment in childhood would produce overly dependent adults and create unrealistic expectations for the 'real world'. To avoid this, Watson believed that emotional detachment was the best way to raise children: do not hug or kiss them, do not let them sit on your lap, and whatever you do, never ever let them dictate the schedule. Basically, he claimed that individual consciousness did not exist ... or shouldn't at least. He claimed that nothing is instinctual, but that everything is based on interaction with the external environment. Therefore, a parent can shape a child's behavior by controlling his environment. In other words, by rewarding good behavior, punishing bad behavior, and following a rigid schedule controlled by the parents, it is possible to condition children to become anything you want them to be. More or less like chunk of clay! It sounds like Dr Sears has a point when he says that many traditional theories treated children like robots or pets. Anyway, Watson summed up his ideas by saying that, in essence, children should be treated like adults. Kind of makes you shake your head in wonder, doesn't it? I mean, I'm an adult, and I certainly wouldn't want to be treated according to Watson's rules. So even if it made sense to treat children like adults (which it doesn't, because they aren't adults) how does that translate into detached, unemotional, non-physical, unaffectionate relationships? 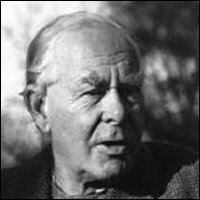 Well, it didn't make sense to the father of attachment theory either, John Bowlby. John Bowlby had studied child psychiatry and psychoanalysis and had the nerve to question popular theories of the day, such as those advocated by John B. Watson. Today it almost seems like common knowledge but back in the days it was groundbreaking news when Bowlby stated that a child's psychological development could be impacted by his relationship with his parents. 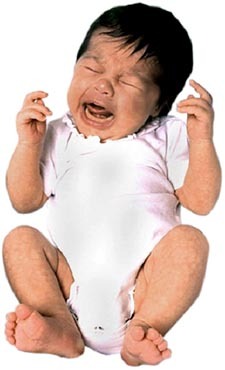 Initially, Bowlby was ignored or criticized for his ideas particularly his "Maternal Deprivation Hypothesis" which claimed that children who are deprived of responsive and sensitive mothers (or primary caregivers) will experience emotional scarring that will affect all other relationships, even into adulthood. Since the 1940s and 1950s was an era when hiring nannies was popular and maternal involvement in some circles of society was minimal (e.g. in middle/upper class Britain), you can imagine how well this suggestion was received. However, Bowlby was not deterred. He began observing children in hospitals. In those days it was common practice to limit visits, so children were often isolated and saw very little of their parents during their stay. Bowlby documented that children would begin to cry and protest having to be separated from either parents or caregivers (their source of security), and when their complaints gained no results, they would become depressed and withdrawn. This prompted him to introduce attachment theory and the idea that people have a desire to be near those they feel attached to, and that this is especially true in children. The results of this research made it difficult for the medical community to disregard the findings, and among other things, hospital visiting policies were changed. 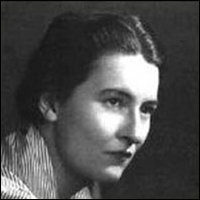 About the same time, there were also a couple other well known doctors and psychologists who were coming to the same attachment conclusions as Bowlby. Perhaps one of the most recognizable is Dr Benjamin Spock. Dr Benjamin Spock's Radical Parenting Advice: Parents, Trust Yourselves! Dr. Benjamin Spock absolutely shocked the parenting world when he suggested that parents should forget the long list of rules and 'trust themselves'. He caused further gasps when he stated that "there is no such thing as too much love." Well, what do you know – now parents were not only permitted to love their children, but they were also encouraged to actually show it. As basic as this sounds to us, based on the prevalent theories of the time, this meant a radical and complete shift in parenting philosophies. And to the further horror of committed Behaviorists, Dr Spock actually mentioned the forbidden word: Intuition! He stated, "What mothers and fathers instinctively feel like doing for their babies is best overall." Wow! Dr Spock had stumbled upon what mothers have always known (although they were taught to forget), that parents have an innate ability to know their child. In fact, Benjamin Spock built his theory on the phrase, "You know more than you think you do". "We know for a fact that the natural loving care that parents give their children is a hundred times more valuable than their knowing how to pin a nappy on just right or how to make a formula expertly" (Spock, 1958, pg 15). For his ideas, critics gave him the title "Father of Permissiveness". But, mothers everywhere were breathing a sigh of relief because the previous "one-size-fits-all" parenting was now being traded for a ''know your child and meet their needs" philosophy. The fact that his book has sold over 50 million copies is a testament that parents everywhere were, and are, happy to have an alternative to the Behaviorism methods. Although Spock does not mention attachment theory, similar ideas are obvious throughout his writings, proving that he and Bowlby were making the same discoveries almost simultaneously. 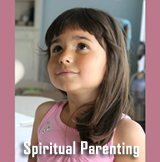 The ideas of flexible affectionate parenting, treating children as individuals, and building a loving, trusting child parent relationship were becoming popular as parents began to realize that love and mutual respect prepared their children much better for the 'real world' than shaping them into obedient, conditioned clones. For the first time in a long time, parenting became about personality, temperament, and individuality. And these concepts were incorporated into attachment parenting, especially in the idea that parents do not have to be perfect. Dr Sears states that children thrive in an attached environment, despite parents shortcomings. It is detachment and insensitivity, not parental mistakes, that harm children. Like Dr Benjamin Spock, human therapist Carl Rogers did not (as far as I know) specifically mention attachment theory (probably because he was also developing his ideas around the same time as Bowlby and Spock) but he was independently discovering many of the same principles. According to Carl Rogers, as an infant interacts with the people around him, he develops a more complex experiential field and begins to gain a definition of "I" or "Me". Carl Rogers called this "self-concept" and it is actually the point where a child is able to distinguish between what is part of himself and what is external to himself. In essence, self-concept is equal to self-image and represents what a child is, should be, or would like to be. It is important to note that how a child sees himself is dependent on the feedback he receives from the important people in his life. 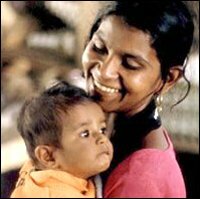 An infant has an innate need for 'positive regard' which is acceptance, love, and approval from the key people around him, most often his mother. The extent to which positive regard is given, determines how well a child will acknowledge his natural tendency to move toward what Rogers called "actualization or enhancement of self". 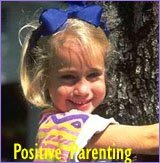 Parents often withhold positive regard because they are unhappy with a child's behavior. However, an infant is unable to think like an adult and perceives disapproval of behavior as disapproval for himself as a person. In this case, he will stop trying to grow and develop and discover his self-concept, but will instead strive to secure positive regard. Unconditional positive regard is when a child feels like a parent's love, acceptance, and approval is given freely and not conditional on behavior. This sounds a lot like attachment parenting's idea of unconditional love, doesn't it? Rogers also discusses what he calls "conditions of worth". This simply means that the child believes his self worth is connected to his behavior and that there are conditions to the love and approval he receives. Remember, Dr Sears also believes that self-esteem or self-worth is the foundation for future behavior and that "a child who feels right will act right". If a child believes that he deserves affection only if he expresses desirable behavior and attitudes, then he feels that he must earn a parent's love. This forces the child to make a choice: be true to who they are or pretend to be who they are expected to become. One of the things that Bowlby, Spock, Rogers, and Dr Sears all agree on is that a child is an individual. That means that children must feel free to discover who they are and develop a self-concept that comes from the unconditional positive regard. Carl Rogers stated that when conditions of worth are in place, children will feel anxiety because they have to close themselves off from certain experiences, and this creates an inner conflict. He called this "incongruency", and it occurs when there is a discrepancy between their personal experiences and their self-concept. Remember, self-concept is based on how they see themselves (their self-worth) and what they feel they need to do to achieve positive regard. When a child receives unconditional positive regard, there are no conditions to worth, and they are free to use their experiences to help achieve their full potential. Carl Rogers was the first person to introduce the idea of "unconditional", but this concept has set the foundation for attachment parenting as well as Alfie Kohn's "Unconditional Parenting"
Like Dr Sears, Alfie Kohn is a more contemporary proponent of building emotional, trusting relationships between children and their parents. 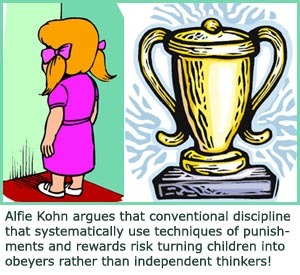 Alfie Kohn is probably best known for his idea of "working with children rather than doing things to them." Like attachment parenting, unconditional parenting states that meeting a child's needs on an individual level is the basis for all healthy relationships. Children need to know that they are loved for who they are, not what they do, and that they will be accepted even when they fail. Kohn argues that the weakness of Behaviorism is the fact that it is based on a system of rewards and punishments. Do this and you will get that. Alfie Kohn believes that looking only at the actions we can see and measure gives us a very limited viewpoint because it does not take into consideration the reasons why the behavior is manifesting. Is my child being good because it is in agreement with his self-concept and because he feels unconditionally loved? Or, is he behaving a certain way because he is trying to earn a reward or avoid a punishment? In other words, is it really who your child is, or simply who you created him to be? These are tough questions, but like Carl Rogers, Alfie Kohn believes that if children feel that they are only worthy of love when they impress their parents, then they will do what is expected even if it goes against who they really are. Alfie Kohn believes that children who are micromanaged risk becoming unquestioning 'obeyers' rather than independent thinkers. A child who is not allowed to think on his own may grow up to become an adult who cannot think on his own. Simple logic! When forced into a decision making situation, he hasn't got the tools to think critically and has no strong inner convictions or values – either good or bad – because he has never learned to become his own person. Put very provocatively, children raised according to Behaviorism or the authoritarian parenting style tend to grow into adults who struggle with sense of existential security and individual decision making and who adhere to good values because they fear authority rather than respect it. 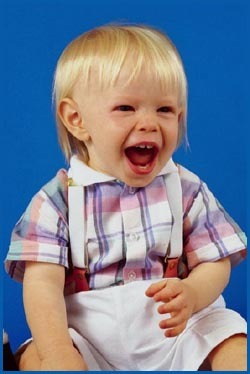 On the other hand, children raised with unconditional parenting (unconditional positive regard, attachment parenting) are more likely to grow into adults who are not afraid of intimate relationships, are able to think independently, and are committed to good values and behavior because it was modeled to them by people who love and accept them for who they are, not what they do. "Excellence comes from interest, interest comes from freedom, and freedom comes from not having to worry about whether failing will cause your parents to pull away." The doctors, psychologists, and child development experts mentioned are only a few of the many voices who have advocated, and continue to promote, the ideas inherent in attachment parenting. John Bowlby stated that an infant has the desire to be close to another person and feels secure when that person is near. Dr Benjamin Spock suggested that parents toss out the rules and 'trust themselves' because 'they know more than they think they do'. Carl Rogers' theories advise removing conditions of worth and giving unconditional positive regard, and Alfie Kohn says parents should work with their children rather than doing things to them. And attachment parenting states that "only you know your child" and you should rely on your intuition when it comes to making decisions regarding your child. Not every child is the same, not every parent is the same, so the dynamic of every family will be different. The key is to create a strong emotional bond based on responsive parenting and built on mutual respect and trust. Thanks to Dr Sears and his predecessors, we now understand that the best way to raise our children is to trust ourselves and give them what they need as individuals to become the unique person they were meant to be. Attachment Parenting and Intuitive Parenting: Read Your Child Rather Than Some Book! What Is Attachment Parenting? 10 Sharp Truths and 2 Common Misconceptions! Psychology Attachment Behavior; Find out When to Expect the Constant Clinging or the Letting Go of Mom's Skirt! 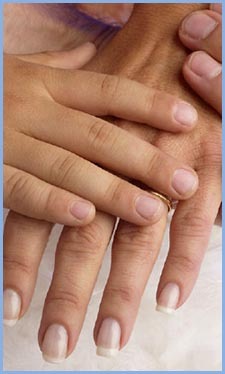 Attachment Theory is Good Basic Knowledge ... But Misses Out on Individual Infant Temperaments! The Four Infant Attachment Styles: Straight to the Point, Quick Understanding! 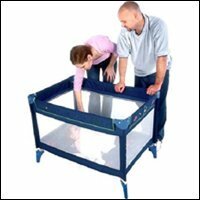 Secure or Insecure Attachment in Infancy ... Largely Shapes Who We Are Today! A High Need Baby: A Strong Personality Is Great, But Where's the Off Button? Valuable Insights into Separation Anxiety in Children and Babies: Meet Your Child with Full Acceptance and Deep Connection!